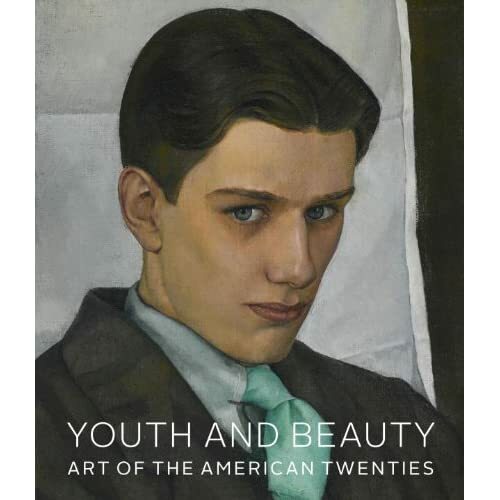 Youth and Beauty: Art of the American Twenties was the first wide-ranging exploration of American art from the decade whose beginning and end were marked by the aftermath of World War I and the onset of the Great Depression. The exhibition, declared “expansive and exhilarating” by the New York Times, included over 130 paintings, sculptures, and photographs by over sixty artists and was on view from March 4 through May 27, 2012, at the Dallas Museum of Art (DMA). Organized by the Brooklyn Museum, Youth and Beauty also includes three works from the DMA’s collection by artists Edward Hopper, Yasuo Kuniyoshi, and Gerald Murphy. “Youth and Beauty: Art of the American Twenties offers us a window into the conflicting forces at work during this complex decade, and how the response of the nation’s artists to those challenges transformed the face of American art,” said Maxwell L. Anderson, The Eugene McDermott Director of the Dallas Museum of Art. The 1920s—The Jazz Age, The Roaring Twenties—was a decade marked by widespread urbanization, industrialization and mechanization, and social phenomena including the postwar collapse of traditional ideals, the rampant materialism of the Calvin Coolidge era, and the collision of rural and urban environments. American life was dramatically transformed, and American artists responded to this dizzying modern world with works that emphatically demonstrate a desire for clarity and wholeness and for the expression of stillness and order. A multi-author, fully illustrated catalogue co-published by the Brooklyn Museum and Skira Rizzoli accompanies the exhibition; it is the first publication solely devoted to an overview of American painting, sculpture, and photography of the 1920s.